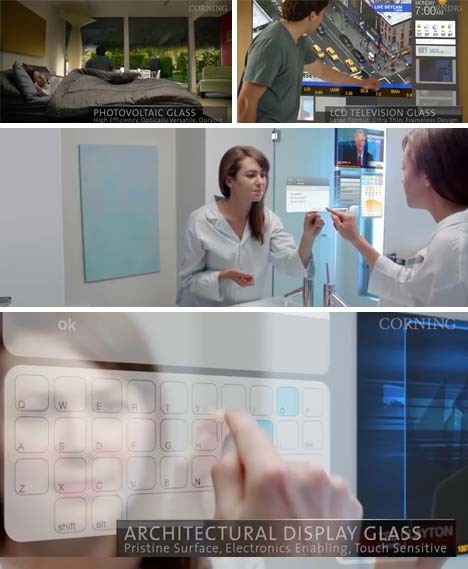 Transparency is only the beginning – this incredible video from Corning walks you through a day in the life of your not-too-distant future self, using glass in ways that would have sounded like pure science-fiction fantasy a few years back. Be sure to watch the video for the full effect, but here are some snapshots to supplement the experience. It starts with waking up in the morning, to adjustable photovoltaic windows, an edgeless flat-screen television and a touch-screen set of interactive bathroom mirror monitors. 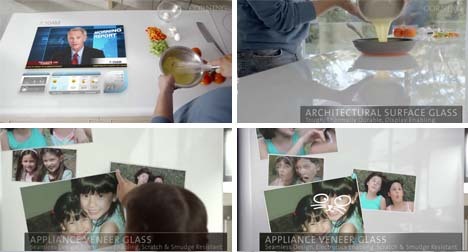 Next up: the kitchen, where you can cook while you watch the news on the very same surface, and your kids can zoom, scale, slide and sketch accents onto pictures digitally tacked up on the refrigerator door. 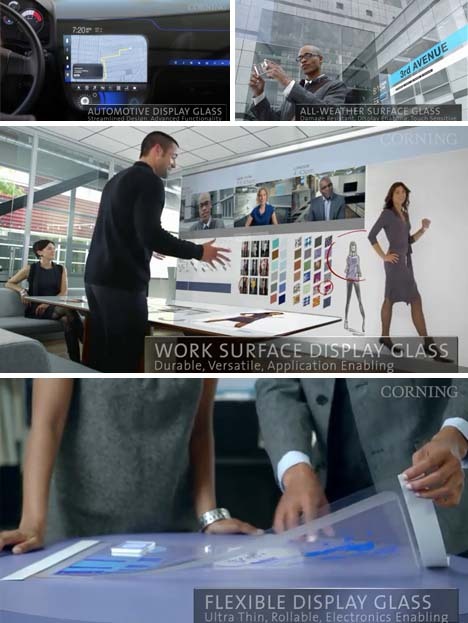 Then off to work in your car – with a glass touch-screen control system – and perhaps a quick chat on your handheld glass phone. At the office, interactive desks and large-panel wall displays integrate what used to be your computer, projector and telecommunications systems. And after a long day, cut loose and go shopping with giant-sized display panels featuring advertisements and wayfinding assistance. 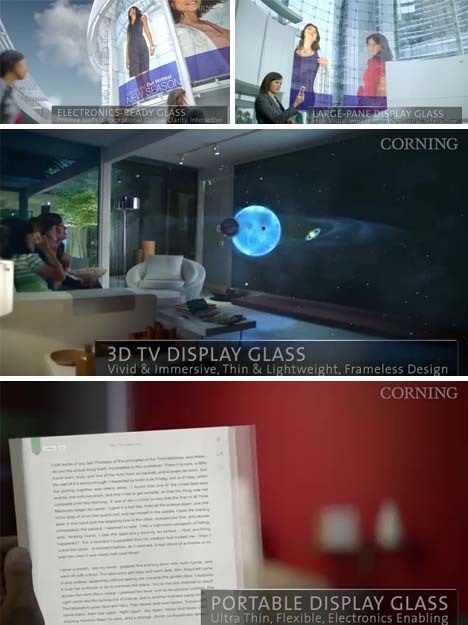 At home, watch the world come to life from your 3D TV or read a book on a portable flat-panel reader.